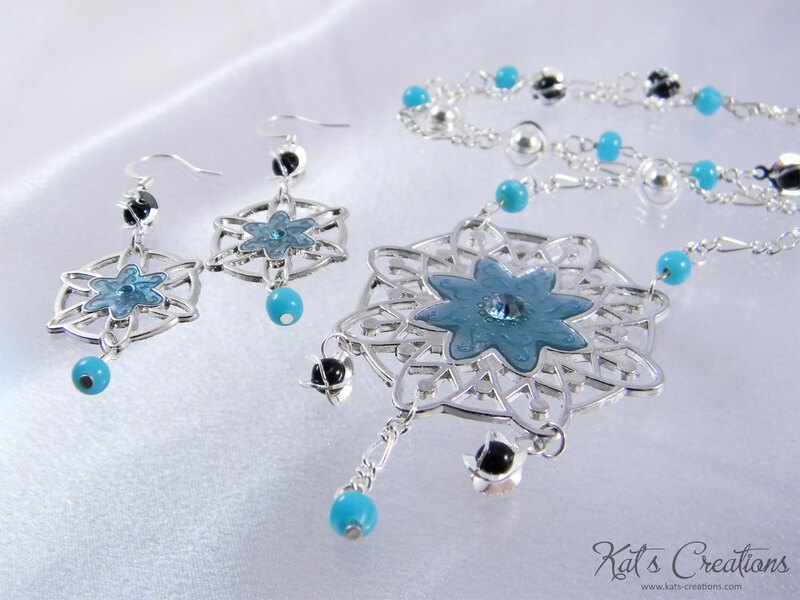 Delicate flower or sparkling snow? 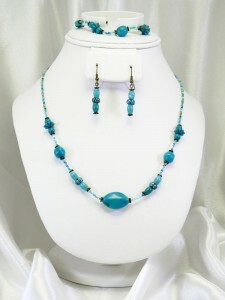 Either way, this piece is a cool blend of turquoise, black, and silver, with pale-blue crystal accents. Found the pendant while shopping at Walmart… fell in love with it instantly, and snatched up the matching bronze chain while I was there. 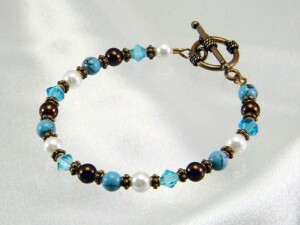 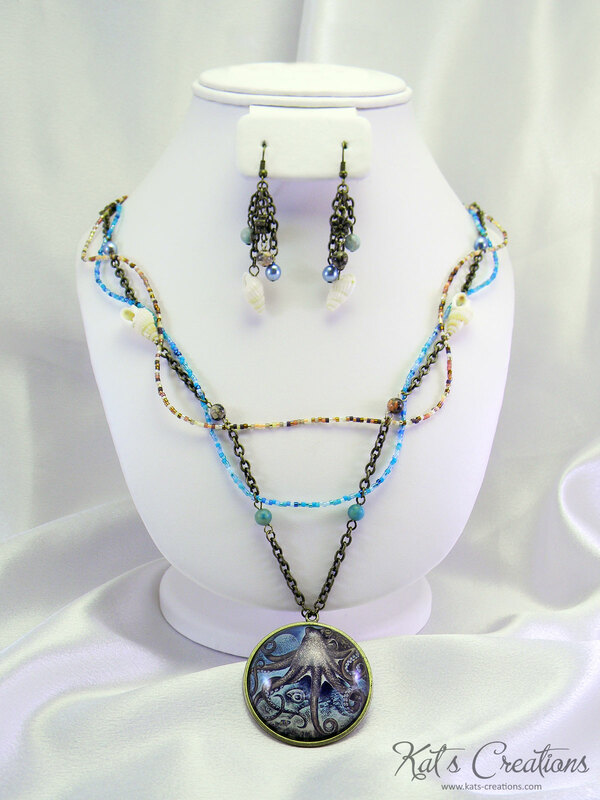 Features two different blends of Miyuki Delicas from eebeads (“sand” and “Caribbean”), natural conch shells, glass pearls, turquoise-colored jasper, leopard jasper, and antiqued brass-finish pewter floral beads. 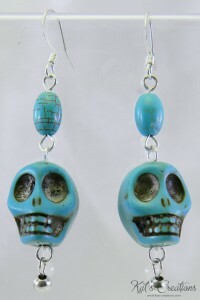 Who knew the macabre could be so cute? 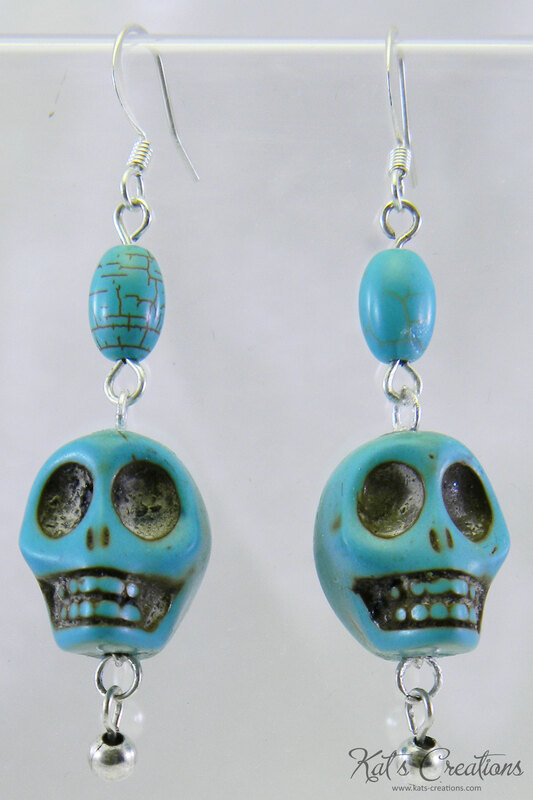 Originally made for a friend who’s a big X-Files fan, I jokingly called these her “Boulder & Skully” earrings. 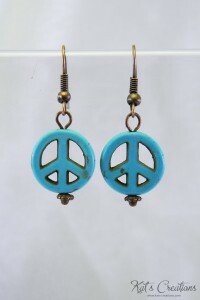 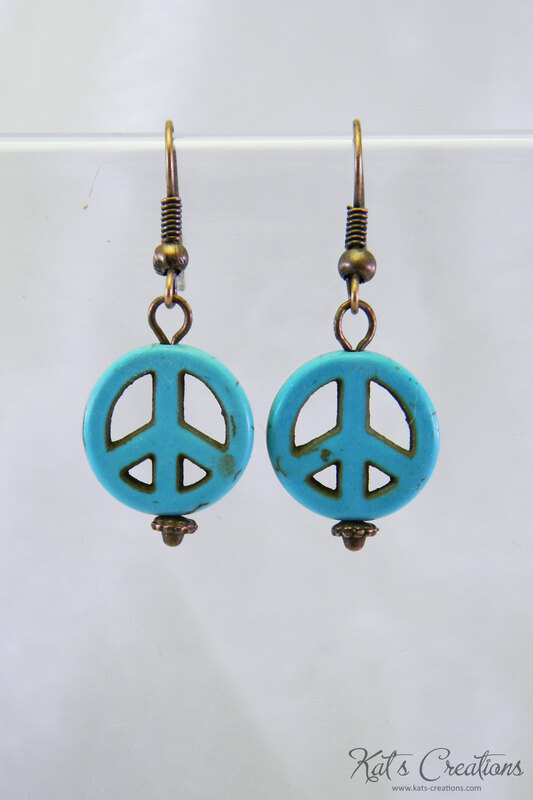 Although these look like they might be heavy, they’re made from turquoise-dyed white howlite, and are surprisingly light!